VSSL Shelter - Emergency Shelter - Moar Stuff - You don't need it but you know you want it. Sometimes things don’t turn out like you planned. If you’re lost, injured, or require temporary protection from the elements, that’s when you’ll want the VSSL Emergency Shelter. 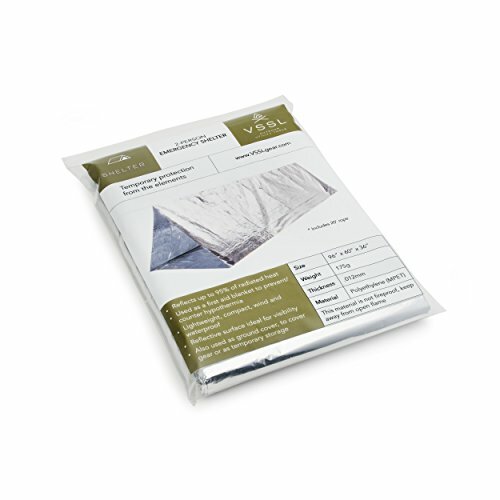 Unlike a lot of (cheaper) emergency shelters which just include a small 1-person tent, the VSSL Shelter comes with cording and even a pair of eye hooks so you can quickly suspend the 2-person tent between two trees. 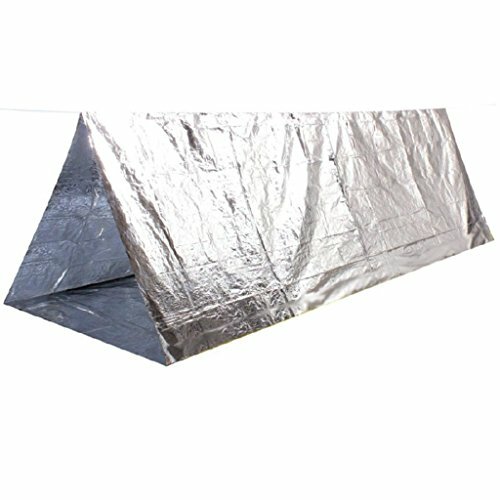 The polyethylene tent measures 96 inches long by 60 inches wide by 36 inches high when deployed. The aluminum container tube also includes an LED flashlight (since it’ll likely be dusk or dark when you’re trying to setup this shelter) and even a compass. in addition, the flashlight has an emergency SOS function so it can be constantly flashing a signal for help while you await your rescuers in your tent. All of this comes in an easy to store aluminum cylinder which keeps the contents safe. As a result, you can be confident the VSSL Shelter will be in working order when you need it. 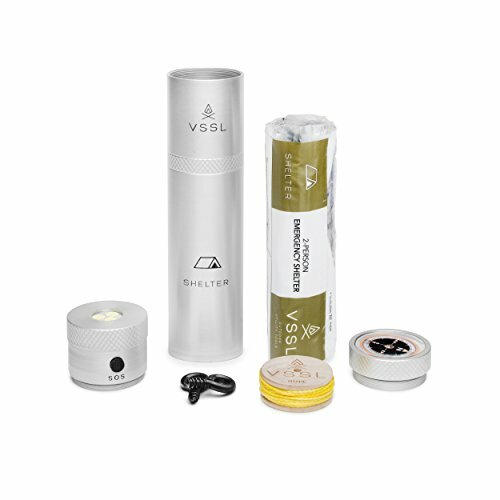 Pair it with the VSSL Survival Flashlight and you should be able to survive just about anything. It’s perfect to keep in your vehicle or hiking pack and has an indefinite shelf life so it will be ready when you need it. Dimensions (packed): 3 x 3 x 11 inches.